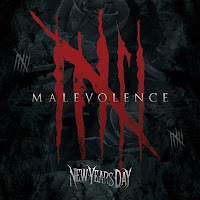 The 2nd single from "Malevolence", the 3rd album from Anaheim based band New Years Day was released this past Friday! Lead single "Kill or Be Killed" was released back in June, while the band was on Warped Tour. The band are embarking on their first headlining US tour with Get Scared, Eyes Set to Kill and New Volumes this October and November, then will be traveling to the UK with Motionless in White. Their album is set for a October 2 release date, and we are looking forward to it! The first single from this album was less than impressive considering some of the other songs on this band's resume. "Kill or Be Killed" was weighed down by heavy guitars and over powering vocals, similar to a demo that has yet to received proper production. But this second single soars to higher heights. "Relentless" is a more electronically influenced track from the typically hard rock, alt. metal band. Which is a great change of pace, as of late many of their songs were full of open string guitar riffs, and cliche breakdowns. The intro builds on itself, guitars taking a step back to put an emphasis on the electronics. The electronic aspects of the song may remind listeners of Icon For Hire, an alt rock band that has increased their use of programming and such in recent years. The rhythms the bass and guitars create is golden, as good as the work the band did on a similarly rhythm driven "I'm No Good". Where "Kill or Be Killed" was a gothic rock song, this is an alt. rock, metal song that opens the band to more audiences. "Relentless" has a higher quality of production, and each band member's part is balanced better. Understanding the desire to add a heavier edge to their music, that can be achieved without mind numbing guitar breakdowns. And the band proves that they're more than capable of doing something a bit different in this new song. 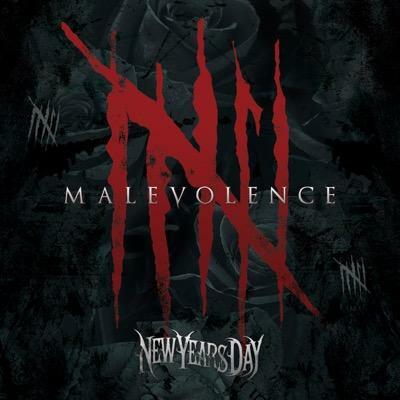 Not perfect, but amazing nonetheless New Years Day never ceases to amaze fans. Ash's angsty lyrics capture the hearts of many misunderstood teens. An anthem to never give up when someone tries to take you down, the song isn't preachy like others of a similar nature. The lyrics convey a positive message, while the instrumentals provide a head banging good time. This song should have been the 1st single off this album, because everything is done in a higher quality.